TrishyB says: Half a dalek! Okay, it's not really, it's our composter. 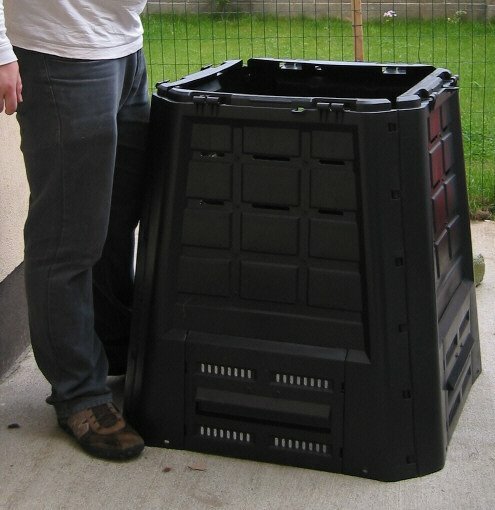 Having read the rules for using the composter, I'm not sure we qualify for one. Fill with earth and then a layer of woody material? Do not ever put potato peelings in? WTF? I thought this was going to be the answer to all my waste disposal prayers. Instead it's yet another thing I have to learn to do properly or it won't work. Right, but are you getting compost at the other end? Getting excellent rich compost, almost soil at that stage. 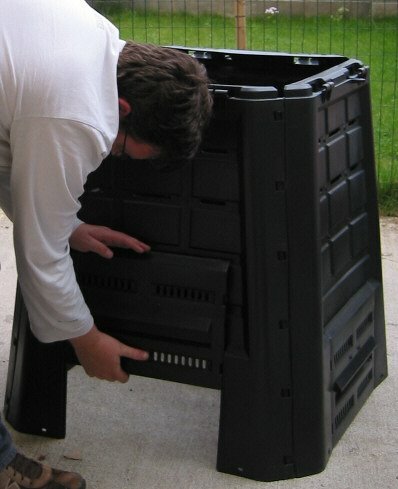 Mind you - it's actually an old bin, so to get it out you have to first empty the top layers of fruity compost. In that case I won't worry about it. Except that yours is in a nice shady spot and mine isn't in a nice shady spot, but I don't have anywhere nice and shady to put it. Maybe I'll have to plant a tree next to it or something. We just put everything in a pile at the end of the garden, not even a bin. Took about 2 years to start composting propertly, but now it turns all raw veg, lawn clippings and some paper into rich compost in a month or so. It is amazing how small everything composts down to. Nature, eh? It's pure mad. Excitingly, I'm also going to try composting our cat litter. It's the wood pellet stuff so it should be okay, or else it will be a horrible smelly mistake and we'll have to clean the whole thing out and start again. But not the pooey bits of course as those are a bad thing.